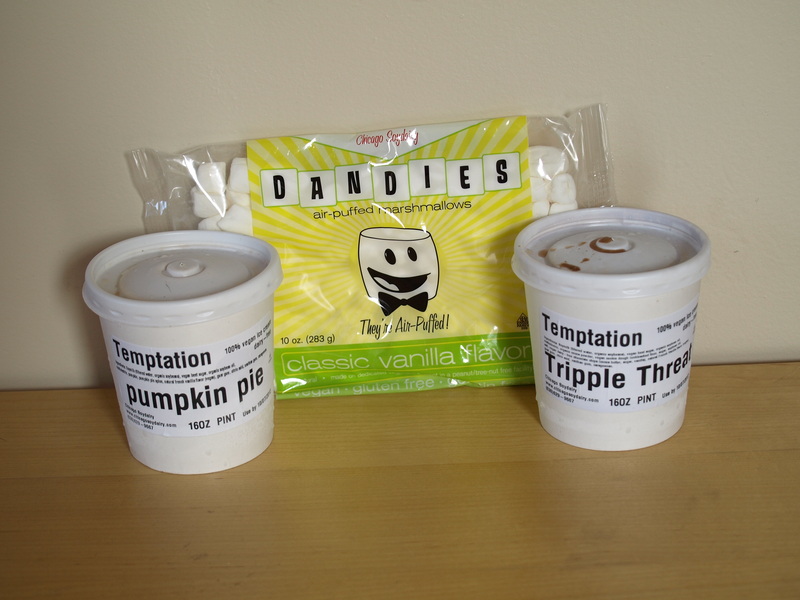 Fall is officially here which means it’s time to dedicate 31 days to blogging about vegan food. We’ve been MIA for the past month due to other projects, but we’re back and ready to let the blogging insanity begin! Check back for product/restaurant reviews, give-aways, upcoming events and lots and lots of recipes. 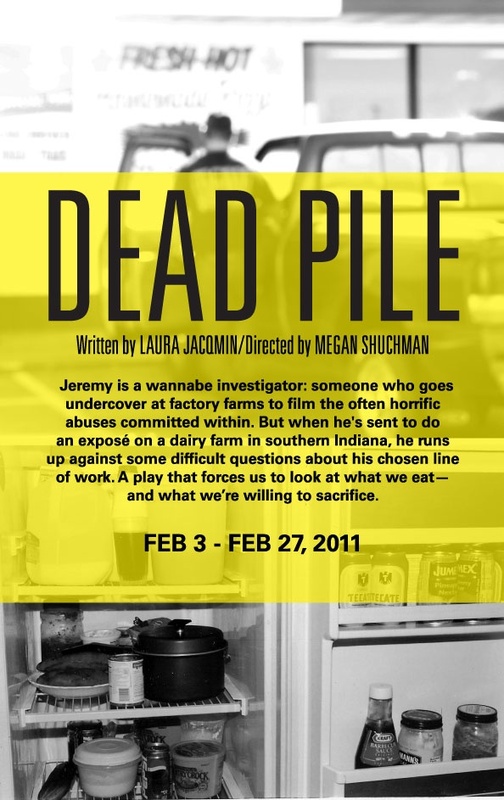 Dead Pile is a play about an animal rights activist being produced by Chicago-based XIII Pocket theater company at Stage 773 ( 1225 W. Belmont, Chicago, IL) . The play will be running from February 3-27, 2011, Thursday-Sunday evenings at 8:00 pm. 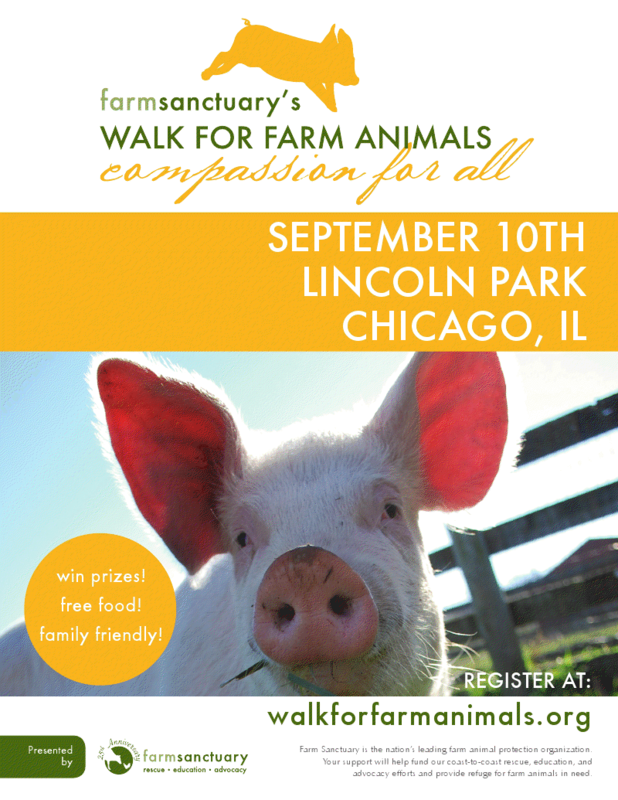 For ticket information call 773-327-5252 or visit the Stage 773 website. Want to know more? Check out the synopsis and author bio below. The play follows Jeremy, a young black wannabe investigator – someone who goes undercover at factory farms to film the often-horrific abuses committed within – on his first exposé. Guided by Davey, the head of a fledgling Midwest-based NPO, Jeremy attempts to navigate the world of a southern Indiana dairy farm – masquerading as someone “from the area” who just needs work for a few months. Though he tries to keep to himself, he finds himself drawn into the lives of the employees on the farm – particularly Nance, a farm worker who would like nothing better than to leave and do something – anything – else, but who is trapped in her minimum-wage job for the foreseeable future. He also forms a friendship with Russell, the son of the big boss, who wants to make some major changes at the dairy and whose real dreams lie in becoming an organic vegetable farmer. But Jeremy quickly discovers how difficult his mission actually is: the crushing loneliness, the constant lying, and the necessity of observing ever-escalating abuse without being able to intervene or stop what’s happening. And the deeper in Jeremy gets, the more he’s forced to confront difficult questions about his line of work. Dead Pile is a play that compels us to examine what we eat – and what we’re willing to sacrifice. Laura Jacqmin was the winner of the 2008 Wasserstein Prize, a $25,000 award to recognize an emerging female playwright. Her plays include Look, We Are Breathing (2010 Sundance Theatre Lab on Governors Island), January Joiner (P73’s Yale residency) and Ski Dubai (Steppenwolf Theatre Company’s 5th Annual First Look Repertory of New Work). Other plays include Folk Song, I Am Frightened of My Body, Dental Society Midwinter Meeting (which enjoyed a sold-out run in Chicago in summer 2010, and will be remounted in early 2011 at 16th Street Theatre), and And when we awoke there was light and light. Her work has been produced and developed by the Goodman Theatre, Ars Nova, Icicle Creek Theatre Festival, Joe’s Pub, Ensemble Studio Theatre, Victory Gardens Theater, Chicago Dramatists, The 24 Hour Plays Off-Broadway, the Contemporary American Theatre Festival and more. She lives in Chicago where she is currently working on commissions from South Coast Rep, the Goodman Theatre, Arden Theatre Company, InterAct Theatre and the Ensemble Studio Theatre/Alfred P. Sloan Foundation Science & Technology Project. She is a member of the Goodman Theatre’s 2010-2011 playwrights unit. BA Yale University; MFA Ohio University.